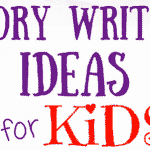 For many writers, there is nothing more enticing than the idea of writing for kids. But, contrary to common belief, it is not so easy to write for kids. Those who write for children agree that kids writing demands much more effort than most people realize. It is not easy to engage young readers. When writing for kids, the plot, language, and illustrations must be planned out in a way that children will find amusing, engaging and entertaining. The primary goal is to compel them to read the entire text. A writer who writes for kids has to make sure that the writing is understandable to children and that it does not leave a negative impact on their minds. When writing for kids it is essential also to remember that young minds are like clean slates, and whatever a writer wants can easily be impressed upon them. That is why it is imperative while writing for children to ensure you convey a positive message. that engages the full interest of young readers. While writing for kids, the chosen topic or subject must be relevant so that children are able to both appreciate and enjoy the content. For example, a book about zombies or devils might not be appreciated by a large number of young readers. On the other hand, a story about a kid’s adventure can impress a whole lot of kids of many ages. Most writers believe that when writing for kids the language used in the story should be kept simple so that kids are better able to comprehend the story. This is true to some extent, but it is also important to remember kids — like adults — learn new vocabulary while reading. Therefore, it is ok if the text written for kids contains some “new” words. Just don’t go overboard! 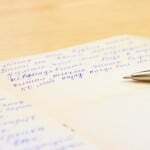 It is also necessary to keep in mind the age group for which you are writing. If a story book or a rhyme book is intended for kids in the age group of 3-5 years, it is going to be read out by parents to the kids and should be written accordingly. For older age groups, the writing for kids can be more complex and learning oriented. It is best if a person who loves kids and their creative minds writes for kids. Those who want to write just to see their name on the cover of the book are not likely to generate any quality, engaging kids books. If kids are your passion and writing is your passion, then we suggest that you get down to the fun business of writing for kids.